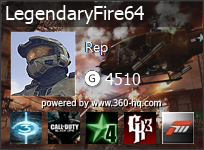 360-HQ.COM :: This console jtaggable? Post subject: This console jtaggable? I went into the system info and saw this number for the dashboard. I think if it has more than 4 digits like 7371, then it can't be jtagged. So is my friend's console too new? Is there an easy way to downgrade the dashboard without soldering? Post subject: Re: This console jtaggable? Regardless on how the console is modded, it will need to be soldered. The 8955 update is NOT exploitable with the JTAG hack, although it is exploitable with the RGH (Reset Glitch Hack). I would recommend the RGH hack, although the only down side to this hack is that it can take up to a minute to boot (if your very lucky, some boot in less than 5 seconds, depending on the motherboard). Good luck with the modding and let me know how it goes! Hi Legendary good to see ya! I am trying to learn about the timeline of xbox updates. You mention the number 8xxx. 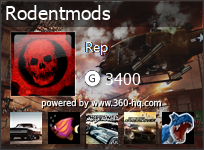 Is my friend's 360 dashboard "2.0.8955.0" considered an 8xxx one after the 7xxx series? That is correct, the higher the update number, the newer the update. Unfortunately your console is not JTAG exploitable, although it can be modded with the reset glitch hack. They both accomplish the same thing, but just a different method. I heard that the RGH will allow me to have separate "partitions" for my 360's xbox hard drive (or nand? not sure on terminology). One to be the unmodded section and the other to be the modded section. That way I could still go on xbox live. This guy uses the term 'nand' frequently. I understand that 'nand' has to do with flash or solid-state memory, but 360's use a regular HDD. Why do people speak of 'nands' with the 360 and modding? Jtag consoles 7371 and lower can be jtagged 8905 and up to 17150 on Zephyr, Falcon, Jasper Slim Trinity, Slim Corona, can be RGH. as for the new windbond motherboard. I believe you need the new CR4 chip to get it to rghed. 14717 to 17150 are RGH2 the difference is little hard to bet rgh2 consoles to boot with good boot times. also the wiring is different. so if you plan to JTAG or RGH a console make sure you do your research first or ask around. I have done over 1000 consoles. Well, for starters; the nand (or commonly referred to as flash) is your internal memory (that can either be your onboard memory for game saves, DLC, etc & your consoles operating system, or just the operating system alone). Think of it as the storage device you cannot remove in your console. Also, the other thing it sounds like you've heard of is a dual-nand setup, which allows you to run both, unmodified & exploited versions of your console. This basically works with a physical switch that is set before your console starts up. Nice & simple. As you may have noticed, your Xbox 360 will start up without the hard drive inserted in your console. This is because of the onboard memory discussed earlier. Your consoles operating system is not saved on your hard drive, but rather in your internal memory. Think of the Xbox 360 HDD like an external hard drive for your computer.